NOTE: The installation steps could differ depending on the XBlock. Check the provider documentation to get more information. Navigate to the course in Studio. Click the “Settings -> Advanced settings” menu. Specify the XBlock to use in the “Advanced Module List” area using a comma-separated list. 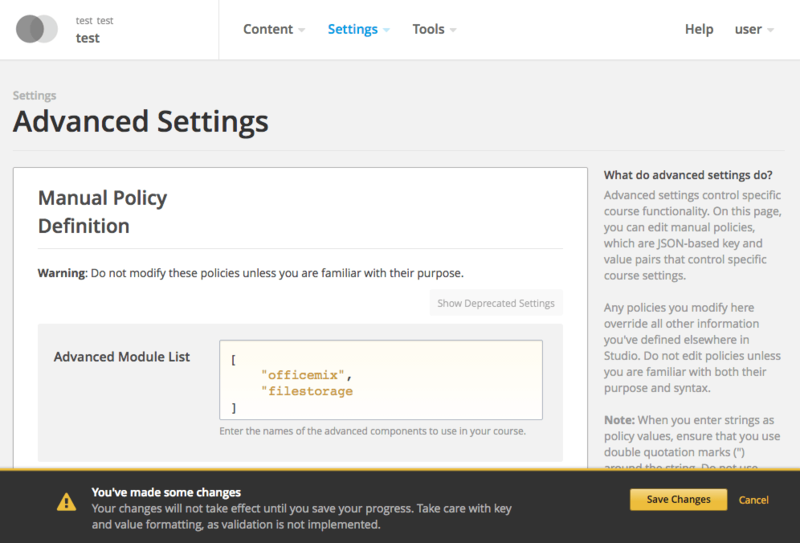 Note that you can find the name of the module in the provider documentation.